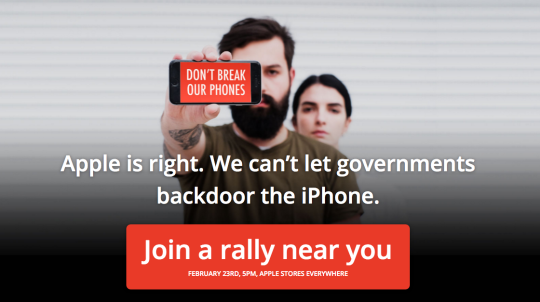 Concerned iPhone users and digital security supporters will gather at Apple stores in more than 30 cities this coming Tuesday, February 23rd, exactly one week after a court order that attempts to force Apple to write software that would undermine the safety and security of millions of people. The rallies are being organized in a grassroots manner by Fight for the Future members who agree to host an event in their town. 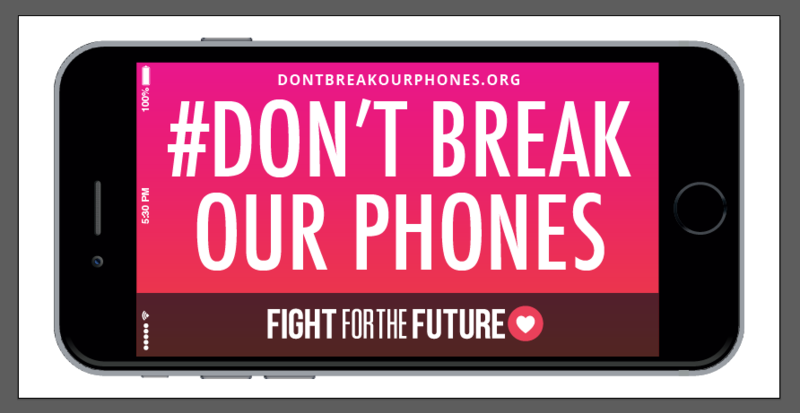 Fight for the Future then provides those members with banners and support with recruitment. More events are being added all the time, so check back before Tuesday if you don’t see one in your area yet. Rallies are already planned across the U.S. in small cities like Anchorage, Alaska, and major ones including New York, San Francisco, Chicago, Los Angeles, Palo Alto at Apple’s headquarters, and Boston. Supporters outside the U.S. have planned rallies at Apple stores in Hong Kong and Munich. In Washington, DC, protesters will gather at the FBI’s headquarters, the J. Edgar Hoover building. Fight for the Future senior staff are available for interviews in advance of the Tuesday events, and can connect journalists with Fight for the Future members who are hosting these events in various cities.